Ending a marriage does not always require divorce. For some couples, pursuing a legal separation in Colorado, rather than a divorce, may be preferable. This is because legal separations can provide couples with some of the benefits of divorce while allowing them to maintain certain rights, benefits and/or interests. Whether you are ready to move forward with a legal separation or divorce in Colorado – or you need answers about your best options, Centennial Family Lawyer Bonnie Shields can help. For more than 13 years, Bonnie has been dedicated to providing clients with exceptional representation for their divorce and family law needs. This has endowed her with insight and knowledge you can rely on to protect your rights and interests when you are ready to end a marriage. In general, the processes of legal separation and divorce can proceed in similar ways and do some of the same things, including financially separating a couple and resolving custody issues. A legal separation will not end inheritance rights under Colorado law while a divorce will. 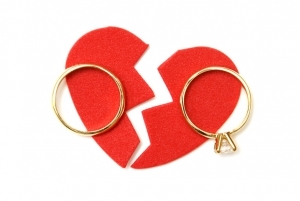 A legal separation will not allow for remarriage, but divorcing will. A legal separation may allow one party to maintain insurance, retirement and/or military benefits under the other party’s coverage/record while a divorce will typically end these benefits. A legal separation can allow couples to separate without violating the rules of their religion (when those rules prohibit divorce). Maintaining access to certain coverage or benefits – This can be essential when one party may have significant health issues and needs to keep health care coverage. It can also be advantageous when a marriage may be just shy of reaching the long-term mark (e.g., 10 years), at which point retirement or military benefit for spouses may come into play. Ending a marriage in a way that complies with religious beliefs – In these situations, legal separations can be alternatives to divorce that allow people to maintain their strongly held beliefs and traditions. Testing out a separation – Because a legal separation can do many of the things that a divorce can do, it can be a good way for couples to try out a separation without the finality of divorce. Legal separations are not necessarily “simpler” than divorce – Given that both processes focus on resolving many of the same issues (like those related to marital property and custody), legal separations can be as complicated and contentious as divorce cases. This means that having an attorney on your side during the process can be essential to favorable, efficient resolutions. Legal separations will continue until additional action is taken – And the further action can include withdrawing the legal separation (to resume the marriage) or converting it into a divorce. To take action to change a legal separation to a divorce, couples typically have to wait at least six months from the date on which the legal separation was granted by the court. When you need answers about your best options for ending your marriage in Colorado, contact Centennial Family Lawyer Bonnie Shields. Since 2002, Attorney Bonnie Shields has been providing her clients with compassionate, personalized service and aggressive representation to help them protect their interests in legal separations and divorce. Find out more about how Attorney Bonnie Shields can help you by calling (303) 798-1927 or by emailing us via the contact form on this page. From offices based in Centennial, we provide superior legal service to people throughout Arapahoe County, Douglas County, Denver County, Jefferson County and the state of Colorado.